Have trouble printing or displaying oracle reports? Please take a few minutes to get to know the professional Oracle Report printing tool RepExpert. Oracle Reports is a comprehensive reporting tool for enterprise wide reporting, information delivery, analysis and decision-making. Which tool are using to print oracle report in HTMLCSS format ? You may be using IE, Netscape Navigator or ORARRP, the tools is not designed for common require ment, sometimes you may find it can not work fine to fit your needs. Supposed you are using IE to print reports, you need to select printer, paper size, orientation etc, sometimes the output is not what you need because of wrong report design or IE's bug. RepExpert is a printing utility for oracle report in htmlcss or html format. If you print report (in htmlcss format) using ORARRP or browser such as Internet Explorer, please spend a few minutes to get to know a professional print tool, Repexpert. RepExpert is developed for Oracle Report ONLY, it can print report generated by report 6i,9i,10g . If you are using RepExpert, you just need to click "PRINT" button on oracle form, repexpert will automatically output your report to the specified printer, printing settings will be set by RepExpert! Repexpert can print report with your pre-defined printing settings! You can setup the printer, paper size orientation, margins etc in design period. How to assign default printer name and paper size by RDF setting? Repexpert can remember your appreciate printer and paper size for every report . Your clients do not need to choose printer and paper size time and time again. If you print reports with IE, You must be disturbed by the margins of pagesetup dialog of IE. You will find that IE will change the margins frequently! You cannot control the margin of the report. RepExpert can set the margin as a fixed value! RepExpert can hide the HTML source code of the report file. Repexpert can adjust the report output. -- RepExpert can erase blank area of each page. -- RepExpert can display and print very wide report correctly. 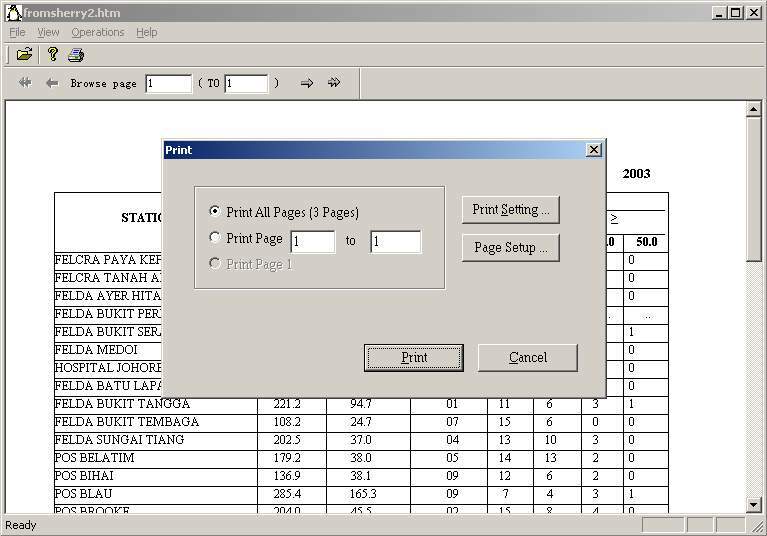 -- RepExpert can output report to printer correctly even if you choose wrong paper size. If you are using Internet Explorer, and the report output is not what you see in preview of report builder, please try RepExpert out. You can call RepExpert to display and print oracle report from oracle forms/jsp/asp easily! Repexpert is easy to use ! Repexpert can monitor MS-IE. 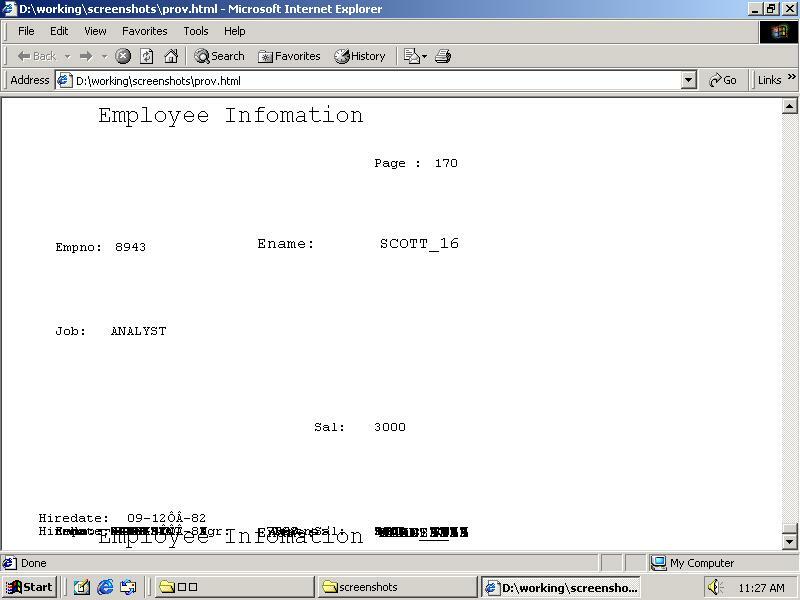 If you print report with IE, you will switch to use repexpert easily! If you use web.show_document method to open a report file and the URL includes all keywords set before, Repexpert will run automatically, it will download and open the html file instead of IE! Help: How to call Repexpert from oracle forms from Web? 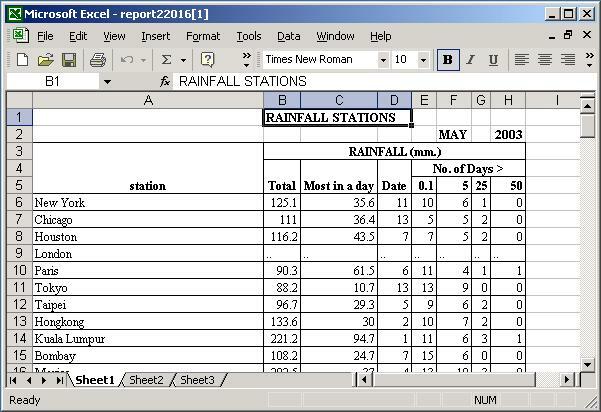 Repexpert can print report directly without delay, just like ORARRP tool. How to output report to printer directly without displaying(automatic printing)? You do not need to config the kewords of url on every pc that hosting RepExpert. Repexpert can print the very large report even contiains 2 million pages. You may generate a very large report file include over 200 pages like this report file. You can not print all pages by IE! The bottom of report looks like this photo . This is a well known bug of IE. 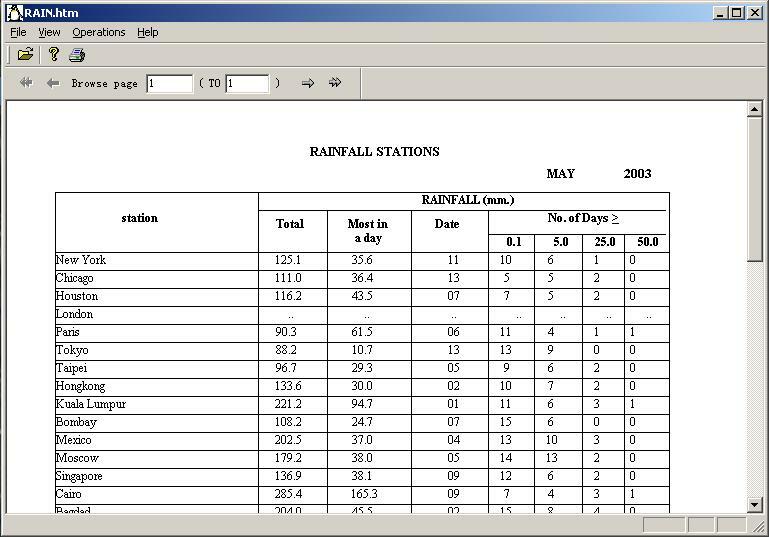 RepExpert can display and print any specified page of large report. You can also add pagestream=yes option to display huge report, but you will encounter trouble when printing the report. RepExpert can be configured to support secure printing. Click here for details. RepExpert can send your report through email. Repexpert Pro can convert oracle report output to ms-excel file! The conversion engine will keep update with rep2excel ! Note RepExpert Lite doesn't support convert html to excel. The free trial usage period of RepExpert is 30 days. If you would like to use this software after the 30 days evaluation period; a registration is required. You can order the fully licensed version of RepExpert over the Internet with any major credit card. We provide 3 license types, single license, site license and corporate license. Note: The quantity should be at least 5 units (licenses) . Note: The quantity should be at least 10 units (licenses) . workstation/server used simultaneously by multiple client computer. Corporate License allows installation and execution of RepExpert on any and all machines within license holder. Please contact sales@lv2000.com for further information or any special needs. Purchase RepExpert online through a secure server with any major credit cards. ©2003-2007 Lion Soft Ltd. All Rights Reserved. Oracle logo are trademarks or registered trademarks of Oracle Corporation in the United States and/or other countries.